The Priority-1 Home Page. 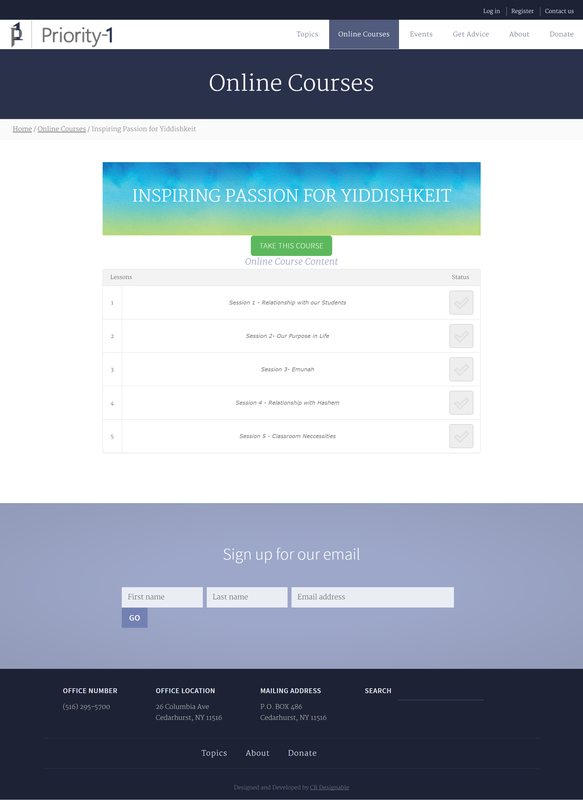 The latest shiurim are pulled into the appropriate spots. 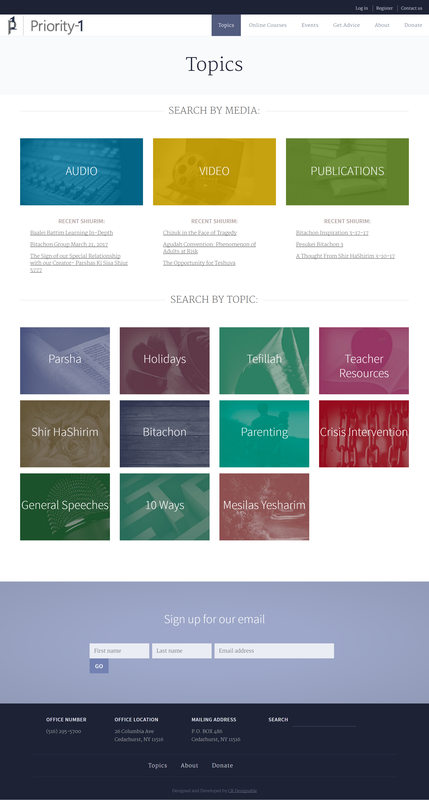 Providing all of the different topics of articles, shiurim and videos across the website, this page is well organized and visually very appealing. 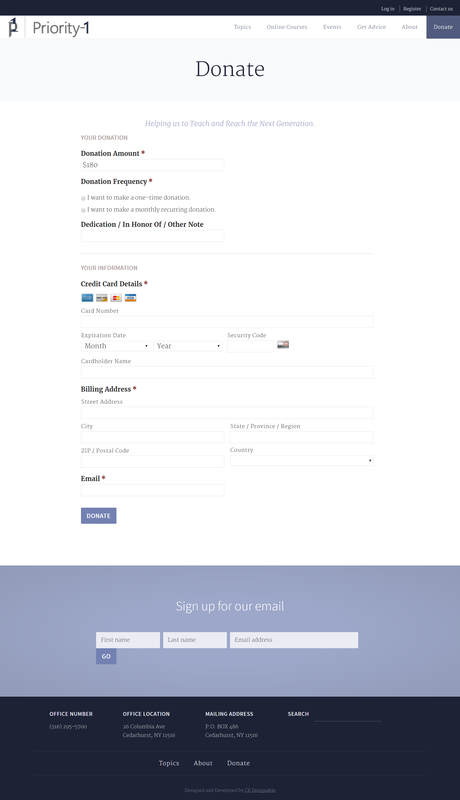 Secure and directly connected to Priority-1's payment processor, this donation form makes it easy for users to make donations and easy for the Priority-1 office to receive them. Within the Priority-1 website is a complete online course software. Users can track their progress and enjoy the videos, along with the accompanying written material. Priority-1’s mission is to enhance the effectiveness of Jewish education, to intervene with children that are not being addressed properly and to prevent children from going astray. They had a website for many years but most of their media- audio, video and written were not organized in a way where anything could be found. We spent much time understanding the different parts of Priority-1, the different audiences they’re trying to reach and the different services and resources they offer. We then moved onto design, giving their logo a bit of a freshening and defining their desired look and feel. After determining the best layout for the different parts we put it all together resulting in the website they have now, a real masterpiece! Take a look at the Priority-1 website!